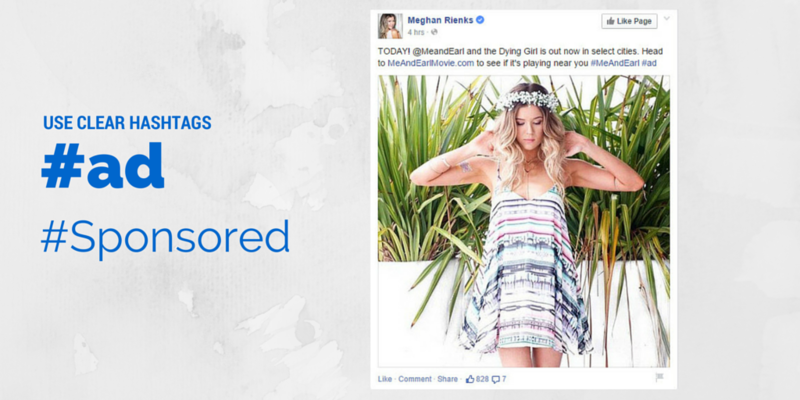 The FTC Rules for Social Media Sponsorships and Contests leave little room for error. This is incredibly important to bloggers and social marketers. We’ll give you the breakdown so you don’t get in hot water with the government when you promote your goods or run a social contest. Since these may change in the future, we recommend that you head directly to their FAQ for the latest updates from the FTC. What is NOT an endorsement? Click to like, because at the moment, the FTC does not yet understand just how influential a like is to an overall campaign. What are the clear cut rules? Basically, make sure you disclose by using #ad, #sponsored or #client in your Social Media posts. If you paid for the product yourself, there is no need to disclose as this is not a sponsorship. If a brand or company sends you the product, then it is considered a sponsorship and you need to disclose…even if they did not pay. If you return the product, you may still have to disclose. For example, if you get to use the product for a month, that could be considered a sponsorship, so you are better off disclosing. If you keep the product, disclose in a blog post, but still tweet about the product later, you need to disclose on each social post because the FTC feels it is deceptive since the people who see the social post may not see the original disclosure. If you write restaurant reviews and your meal is comped, you need to disclose. Due to how people consume video online, you must disclose at the beginning of your video AND you are encouraged to repeat on multiple occasions throughout your video. Same goes with streaming video, but these require disclosure throughout. If you are curious about Socialdraft, take us for a spin. We offer a risk-free trial.